We offer a variety of metal panel systems which have various applications from architectural, commercial, and industrial. 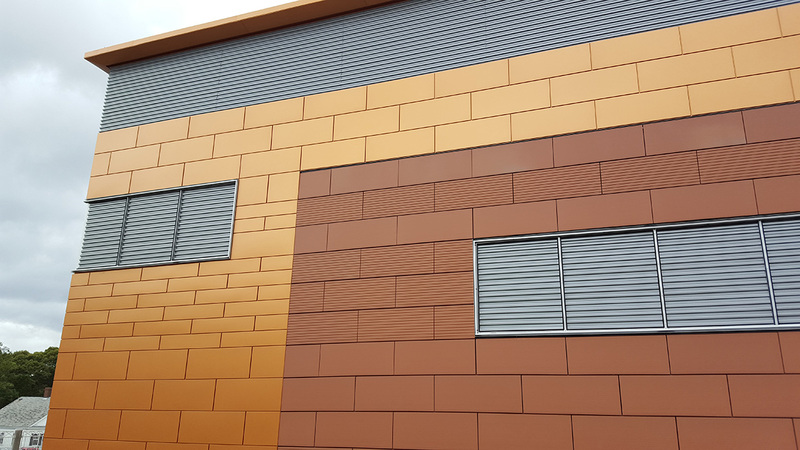 Insulated metal panels offer a lot of variety in terms of thickness, module, orientation, and R-value. Insulated metal panels allow for much larger panels and they complete the high performance, low energy building envelope. They can be used in vertical or horizontal orientation. Contact BES for consultation. We offer a variety of Dry Joint Rainscreen systems. From single plate systems such as Dri-Design to ACM (Aluminium Composite Metal) we can provide you the right product to your building. Getting us involved early on your project with consulting helps keep the project design in check, and budget on point. These products can be installed over Mineral Wool insulation or PolyIso with a variety of sub framing options. Corrugated panel is a single metal sheet roll formed introducing ribs or shapes down a line. This provides a very lightweight panel which is good to work with in the field for any handling and cutting that needs to occur. These products can be installed over Mineral Wool insulation or PolyIso with a variety of sub framing options. We provide a variety of clay products formed under high heat through several manufacturers such as Boston Valley Terra Cotta and Terreal. These products can be installed over a variety of substrates and back up framing for insulation requirements. Contact BES for consultation on your next project.